Last edited by Abdullah719; 3rd December 2018 at 02:50. I like his vision for cricket, especially about building cricket grounds and holding a PSL for emerging players in Pakistan. I also agree that having less foreign players and more local players is a good idea because its easier to convince fewer players to travel to Pakistan. Wonderful to see a young , educated and influential man with a vision getting involved and hopefully will own the "sixth team". I particularly like the idea if giving chance to the merging players. If you go through his account you will notice most of his tweets are about Pakistan cricket instead of politics. Someone should come forward and close the deal, no need for so much of a delay! Some excellent ideas from Ali. He has a clear vision for cricket in South Punjab and how to get that to work alongside and in tandem with the PSL franchise that he hopes to acquire. No, as he says in the interview that it's not worth what Schon Group paid. I'm guessing it will be a new contract. Wonder if that will be acceptable to the PCB. It will all depend on what the bidders are willing to cough up. I can understand the PCB giving the Franchises a slice of the pie for the first few seasons but ultimately the PCB needs to make the most amount of money from the tournament, the franchises should being headed by prominent businessmen should understand how to generate their revenues, profits e.t.c. Impressive. Too sensible a head to be a Pakistani product. Has he studied overseas? It'll be great if he's able to build a ladder from club cricket to PSL. The PCB will have to weigh up the options in terms of highest bid, best overall bid and who they feel is reliable. Previously it seems they just saw Schon's dollars and their eyes lit up. If I am not wrong, isn't PCB supposed to award the rights to the highest bidder automatically? Not necessarily. They have to be satisfied with other aspects of their overall bid too. Love his idea of a sep PSL for emerging players - maybe the National T20 Cup should have an element of that? he can do great things for cricket in his area without buying any PSL team. he is a resourceful and well connected person. Well I'm hearing that there has been a lot of interest - whether that results in a lot of bids only remains to be seen. His comments about the value of the franchise are a little concerning though. That said, would rather sell it to someone who is committed and has a clear vision for investing in grassroots (even if that means selling it for less). A few rumours that a UK based group may put a bid in for the 6th franchise. Is that the only bid or the eligible bid to be awarded by PCB? There are other bidders too so the decision will be taken after all considered by PCB. Last year when Multan Sultans was sold for 5.2m, I felt it was overpriced. A year later the owners failed to pay PCB, leading to new bids. To keep the team in South Punjab, I planned to bid expecting a price around 4m. But khabr hai ke phir 5m cross ho ga. Now Im reconsidering. Lol. So the pcb has received bids of $5 million due to which he is backing out? How about trying to present his case to the pcb that it is not all about money and that he will take care of the franchise in a responsible way in comparison to the bidders who are offering more money? I am sure that is part of the bid presentation. You cannot compare the Quetta franchise to Multan Franchise. Quetta Franchise was a PSL 1 franchise. Multan came in at PSL 3, this was the time when PSL had already started and was no longer in the starting stage. You cannot compare the price of a season 1 team with a team that is debuting in the third season as by the third season the league has survived the intial stage. Thus, the price goes up. Even if we look at IPL, the teams that came later on were really expensive and that was rightly so. Even the big franchises like Karachi and Lahore were coming in at PSL 1. If these franchises joined from PSL 3 or 4, they would be quite more expensive. Hopefully, the highest bidder gets the team. What matters is that there is demand. And going by some posts in this thread, there is demand and the team might be sold at a good price after all. I think that technical committee will be hard pressed this time around for making the right call. Not everything that glitters is gold. Have read that Akeel Kareem Dhedi is one of the hot favourites to win the ownership of the 6th team and he is meeting the price that the pcb has demanded. Is he off sound business repute and not someone who will cut and run? He’s a huge name. Not sure if he’s legit but he’s got a lot of stake in PSX with apparently $460 million net worth as of 2008. Apparently he’s the 20th richest person in Pakistan. But that’s just Wikipedia for you. Let's see how this develops and who actually puts their money where their mouth is. With less than 60 days to kick off, when are they planning to announce the eventual 6th Team owner? LAHORE: Only two bidders have qualified for the final race to earn the rights of the sixth team of the Pakistan Super League (PSL) and the name of the chosen bidder is likely to be announced on Thursday. Though a good response was received from different bidders for the sixth team, only two could qualify for the decisive stage, a Pak*istan Cricket Board official said. The spot for the sixth team was up for grabs after Multan Sultans were disqualified after appearing in just one edition of the league held early this year. PCB chairman Ehsan Mani has also written a letter to all the BoG members informing them that the franchise of Multan Sultans had made several violations of the terms and conditions of the PSL agreement and thus it has been disassociated from the league. Congratulations to Ali Khan Tareen! 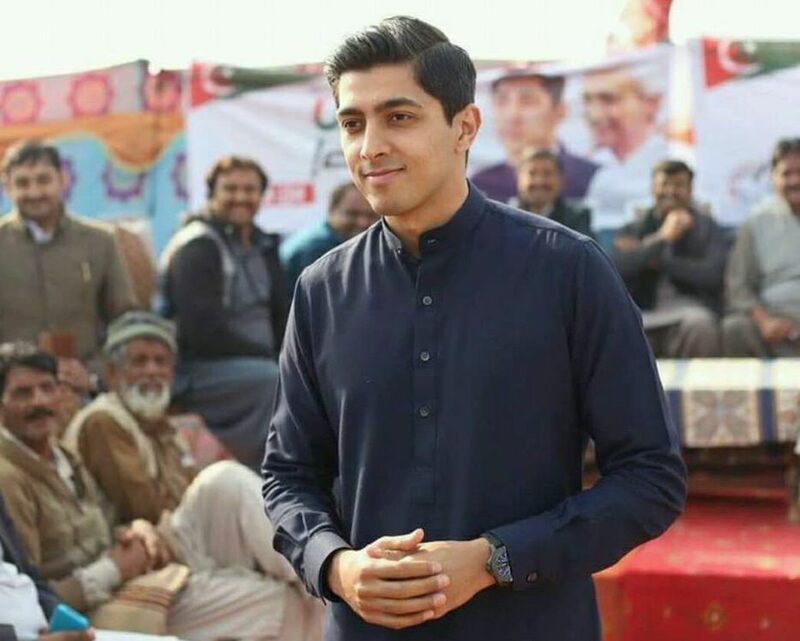 The Multan Consortium led by Ali Tareen has won the franchise rights for the sixth team, by exceeding the reserve price. The rights have been awarded for seven years. The reserve price set by PCB was $5.21 million per annum for a period of seven years. This reserve price has been exceeded by the bid winners. Last edited by MenInG; 20th December 2018 at 14:38. Ally or competitor in Wasim? Last edited by MenInG; 20th December 2018 at 20:53.